Hang out with all of your favorite Disney Frozen characters whenever you want! This Disney Frozen Button Pin Set A features 4 different pins that feature Anna, Snow Queen Elsa, Kristoff, Olaf the Snowman, and Sven the reindeer! 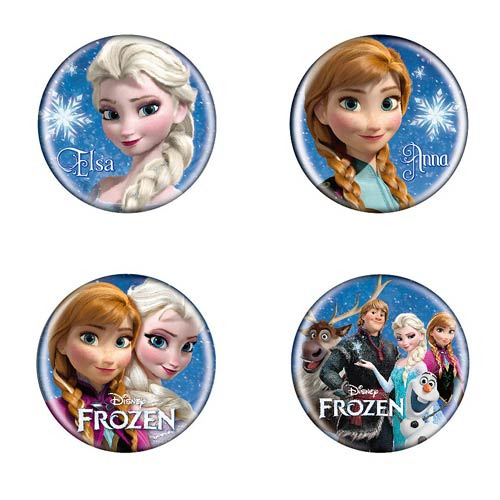 It's a great button set for Frozen fans! Measures about 1 1/2-inches in diameter. Ages 4 and up.